In this part I’ll cover tripods and other support rigs for the Nikon D800 and Nikon D800E . A tripod must be heavy enough not to topple over or vibrate when touched (like when an assistant is using a follow focus system). The head used must be able to support the weight of the full rig easily, and must be super smooth for steady pans, tilts, etc. I prefer heavy tripods, especially made of aluminium or steel. Light carbon fiber tripods are great when you’re sure nobody is going to touch them during a shot. 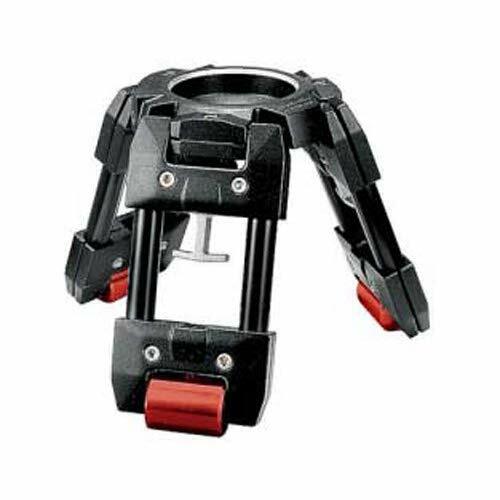 When calculating the load capacity of the tripod, don’t forget to add the weight of the head! 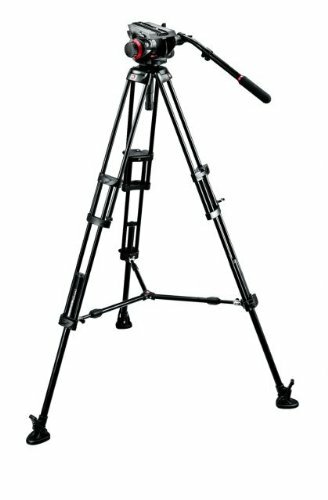 Tripods come in many materials and designs. A simple Nikon D800 and Nikon D800E rig, with no matte box, follow focus, monitor or sound recorder will weigh in around 3 to 5 kg (6.6 to 11 lbs). A full rig with a heavy lens will weigh in at about 5 to 10 kg (11 to 22 lbs). 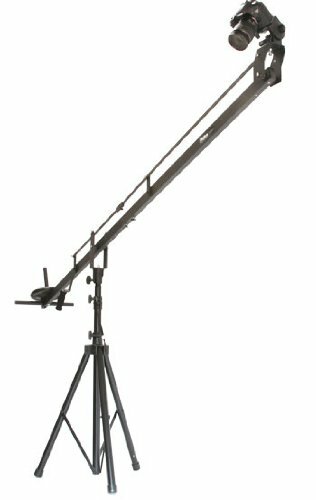 If you’re aiming for such a rig, you might as well aim for a tripod that can also handle a mini jib arm or slider. 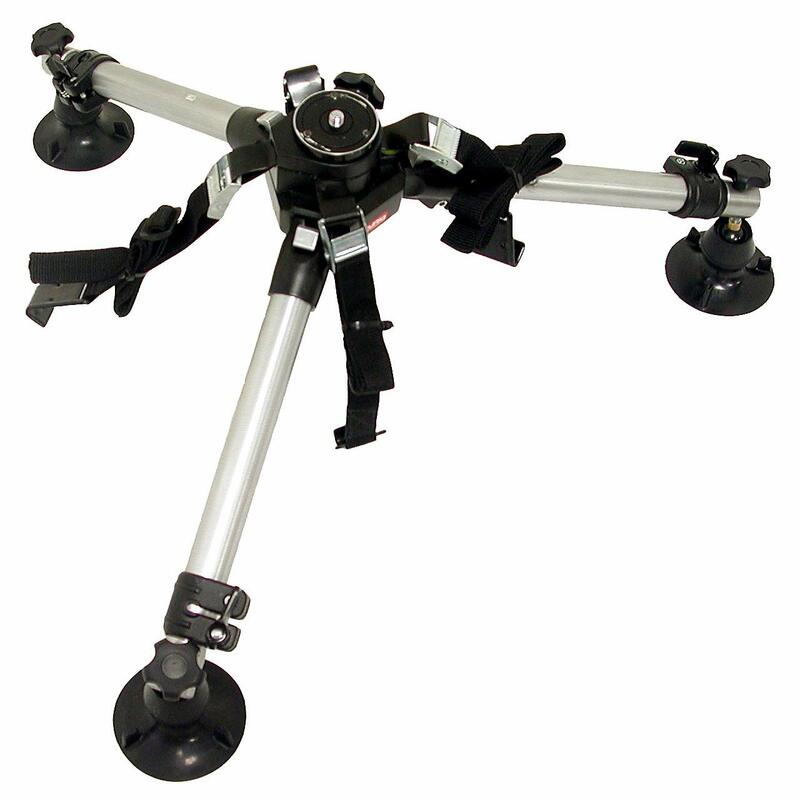 E.g., a Glidecam 200 is about 9kg (20 lbs) and can support a fully rigged Nikon D800 and Nikon D800E setup. In this case, it might be a good idea to get a tripod that can take 18kgs (40 lbs) or more. Or better! 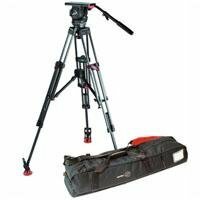 You’ll find cheaper solutions and more expensive ones, the important thing is to fully realize why a tripod needs to be what it is. Good tripods extend up to a man’s height. But they don’t go to ground-level. 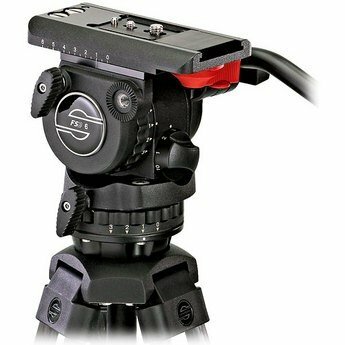 A Hi Hat or Low Base is a mini-tripod that can almost go to ground level. A fully rigged system already has a height of about a foot (12 inches) including the head, so to really be at ground level you’ll have to dig. If your camera isn’t going to move you could use a simple low base bowl, but it’s good to have some control. Okay, so we can go to ground level. Can we go higher? There are all kinds of jibs and cranes and rigs that fall under this category, and most of the time you’re better off renting. But I’ll list one example that might be a great all round tool to buy. A Slider is a table-top dolly. A full cinema dolly rig that can take a lot of weight is better off rented. 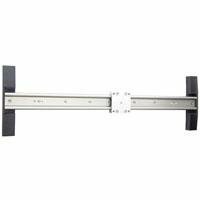 A good slider must be dead smooth and durable. It must be able to take your tripod head without complaints, and must be long enough to be useful. But please don’t try to rig a system on a car without professional help! It’s not worth the risk. In Part 5 I’ll cover base plates, rods, release adapters, etc and batteries. If you have the budget, consider a geared head. They are wonderful ! Once you master the use you will get addicted ! Sliders are useful only if you do lateral camera move. But as soon as you do a dolly in, you get the support in the frame….unless you managed to mount a jib to teleport the camera support sideway.